Installing patios in Abingdon is one of the most popular services that we offer here at Abingdon’s Complete Gardening Services. We don’t expect you to be familiar with the ins and outs of the installation process, so we’ve taken it upon ourselves to talk you through it below. Before we get down to the nitty gritty, our design team will create drawings of the area you are looking to have paved. Once we have discussed this plan with you, we can start marking out the dimensions for your patio and then the digging can begin. Site preparation – Our team will then begin marking pegs to indicate the depth and use a tape measure to measure out your patio area. If we find any soft spots in your soil, further excavation will be needed. We will then begin laying the sub-base until smooth. Sub-base check – Once laid the sub-base material will need to be raked and checked for sinking areas. Once smoothed and flat we will check the drainage slope. Prepare the mix and start laying paving flags – We will then begin laying cement, starting with the area intended for the first paving flag. We will then check this is in line with the string lines. This process will need repeating for the rest of the paving, then we will leave the slabs for at least 24 hours, so the sand cement mix can set. Cutting your patio into shapes – Once the paving has set the Abingdon’s team will use diamond disc cutters to begin the design of your bespoke patio. Pointing – The final part of the installation process of our patios in Abingdon is creating a mix compound and firming this into the joints, firming into the gaps to produce neat grooves. 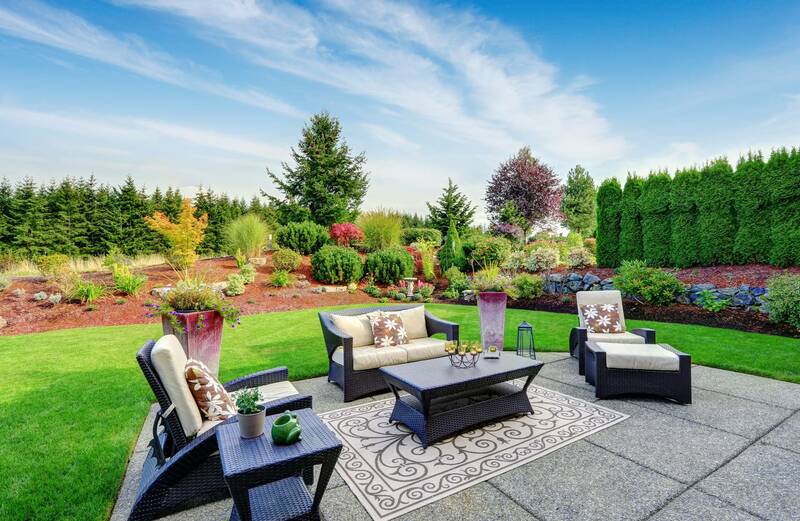 If you are considering investing in a new patio in Abingdon, look no further than Abingdon’s Complete Gardening Services. Our team have over three decades of experience providing the highest quality of patios in Abingdon. Contact us today to speak to one of our friendly team who can offer you all the advice you will need.